The importance of employer branding in attracting and retaining talent can’t be overstated. A 2016 study published in Harvard Business Review found that companies with poor reputations pay at least 10% more per hire and struggle to attract top performers. 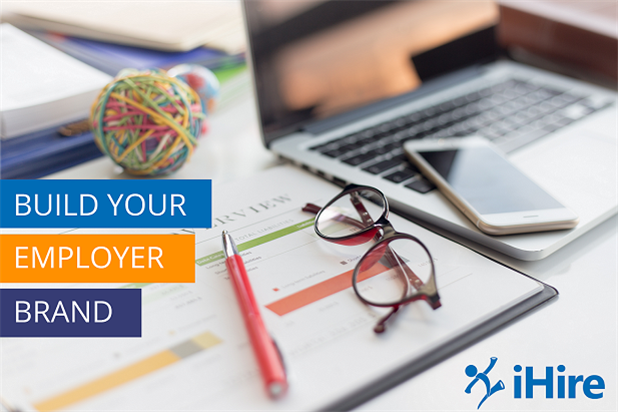 Devising and executing an employer branding strategy doesn’t require a large budget and – with iHire’s tools – promoting your employer brand also doesn’t demand a lot of extra effort from your HR staff. Employer branding is the perception that job seekers have of your company or organization. An employer’s reputation among industry professionals can be positive or negative, but the purpose of an employer branding strategy is to establish an enterprise as an employer of choice to aid in recruiting and retaining high-quality candidates. Just as a corporate brand is critical to distinguishing a product or entity from its competitors, employer branding plays a similar role in the hiring arena. Many businesses struggle to attract qualified applicants for their open positions – especially in a candidate-driven market – but an effective employer branding strategy can help differentiate your organization as a highly rated employer. Your employer brand goes hand in hand with your corporate brand, and both are informed by your organization’s identity, mission statement, core values, and culture. If you aren’t actively cultivating (and managing) these aspects of your company’s reputation then you are not in control of your employer brand and your recruiting efforts may suffer as a result. Add a short description to highlight your company’s story and vision. Reinforce your brand by displaying your corporate logo. Post a video to illustrate “a day in the life” at your workplace. Include a link to your organization’s career page(s) so applicants can learn more about your employer brand. Keep in mind that your branding elements will be displayed with your job posting unless you mark your ad “confidential.” You can edit your employer branding information whenever you need to by visiting the “My Organizations” page and clicking the Edit button located at the top right corner of each individual section. Enhance your company’s ability to attract top-performing candidates by investing in your employer branding strategy. Post a job with iHire to find out how our employer branding tools can help you gain a competitive edge over your industry rivals, improve the quality of your new hires, and save on recruiting costs.